New Specific Advice Page Featuring John Bly On Where To Sell Antiques. We’re continuing to develop Where To Sell as planned. As the next stage, we’ve set up a specialist personal service where a panel of experts will provide an opinion on the likely sale value of your item, and suggest the best buyer or intermediary for you to contact first. The panel is chaired by John Bly and each member has specialised and current knowledge of the market in one or more of our Specific Advice categories.
. . . and we make no charge for our advice. We’re particularly lucky that John Bly has agreed to help us. He has a long and distinguished career in antiques, with several years at Sotheby’s before joining the family business which had been started by his great grandfather. John Bly is a Fellow of the Royal Society of Arts, Liveryman of the Worshipful Company of Goldsmiths and quondam chairman of the British Antique Dealers’ Association. He is perhaps best known for his regular appearances on the BBC Antiques Roadshow and on his own programme for ITV Heirloom. 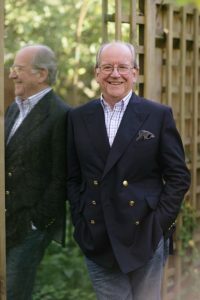 In addition John has written and edited a number of essential books on antiques and collecting, writes for several specialist magazines, and still finds time to give lectures in Britain, Europe and North America. We look forward to your enquiries as we continue to extend the services provided by Where To Sell.